These are are new and improved progressive spring set for your XRAY T4. 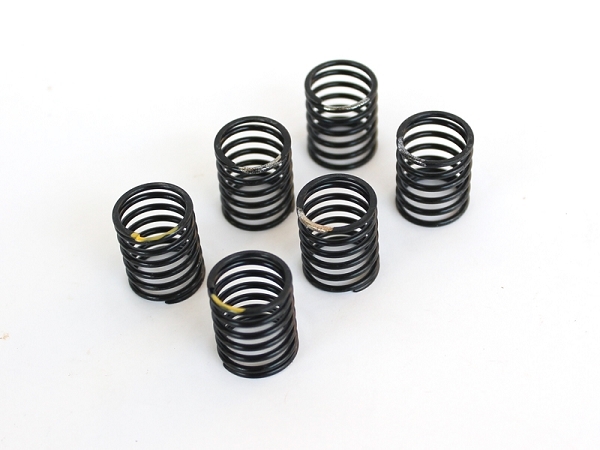 Progressive springs generate more traction than linear springs due to the dynamic of the compression of the spring. Early in the compression, when the spring needs to be soft to provide bite, they are softer and later in the roll, they stiffen up to provide more exit and on power traction and steering. These springs also work great with your RSD AE TC6/ RSD6 Lowered Shock Tower Conversion Kit. as well as other cars that use shorter, 20mm springs. My son used these on the VBC Wildfire D06 and won at the 2015 ACT Indoor Carpet Titles- Australia.